This makes the perfect gift for your friend or loved one who is unable to eat gluten, eggs or dairy (hint hint). Or for YOU! Buy anywhere books are sold, really. SCORE!!! Decadent Gluten-Free Vegan Baking is published under Page Street Publishing and distributed world-wide by MacMillan. All photos are taken by Celine Steen and all recipes are created by Cara Reed. You guys are the best! Thank you for making this even possible…for reals. It’s all because of you all that I am able to pursue my passion for recipe creation and bring to you my first ever COOKBOOK. Still sounds so weird saying that. Can I just say this book/website/experience saved my sanity?? I received my Hashimoto’s diagnosis in January, and figured out my gluten, egg, dairy, banana, oat, and asparagus (ha) sensitivity about two weeks before my 22nd birthday. Taking away a second semester college senior’s beer and cake is just cruel! But with the support of my sister (who also has early onset Hashimoto’s) and my parents, everyday gets better and better— and I might have shed a few tears when my mom showed up at my house with this book and the incredible carrot cake. 10 months later, and I’m making the same cake for my boyfriend (mostly because I want to eat it again, yum!). Any suggestions on ways to mix it up, or something you would do differently since the book’s been out for over two years? Hello Cara! LOVE your cookbook! Thank you for all the great recipes. Your hard work has helped soooo many, me included. I do have a question about the Tomato Herb Focaccia Bread. It talks about making “one” 8″ round and yet in the actual recipe it talks about two 8″ rounds. I ask because when I mixed the wet and dry ingredients, it didn’t hold together like pizza dough – just looked crumbly. Should I double the wet ingredients? I ended up just adding more warm water when it was clear the crumbly dough wasn’t budging after the suggested hour to rise, but perhaps there’s something else I can do? Thanks so much! I’ve had this same problem. I tried two times… any resolution? wow, 1 & 2 years ago and still no reply! is cara still alive? My brother is struggling with canker sores in his mouth. He has come to the conclusion that whenever he eats gluten he gets canker sores. Now he has stopped eating gluten. So my question is, does gluten have anything to do with canker sores, and if so should he be gluten free? Cara, this book is amazing. I have tried a few recipes now. Two of the recipes that I tried.. orange cranberry scones and Cinnamon-Streusel Coffeecake… didn’t come out as good. The scone was dry, felt very chewy, didn’t feel moist at all. And so was the coffeecake, the dough part of the cake felt very dry. I am not allergic to anything, so I use normal butter instead of vegan butter and same with the milk. Is there something I am not doing right or something I could do to make this right? Hi Riddhi! It just sounds like the there is too much flour. All you need to do is scoop out the flour with a spoon to make it lighter. I have had an almost impossible time enjoying gluten free vegan baked items. I don’t have the need/ No food allergies. And I always believed you MUST use butter… But that said Cara’s cookies are right up there with the BEST of French baking. She’s got the baking corner covered. Watch out Martha Stewart!!! There are too many comments to read through them all to see if this was already asked… In your new book, is there a section with all the recipes for your flour blends? It wasn’t asked Cat so no need to rummage through all the comments. To answer your question, yes, there is a section with all the recipes for the blends AND an entire guide on how to create your own blend and how to use egg and dairy substitutes. Yes!!!!! Got it! I will do a whole lot of baking! Thanks! Are these new recipes in the cookbook or some of the same ones on the blog? I really like your site and your goodies! I don’t have a gluten intolerance that I know of. Is it possible to still use your recipes with regular ingredients? Thank you! Blue Mountain Organics sells sprouted flours now and am anxious to try out you recipes using the sprouted flours as they are healthier and make it easier on one’s digestive system. Just pre-ordered your book! So looking forward to it. I really enjoy your recipes, the pictures and your website. Thank you for all the time and effort you put in helping people like me!!! 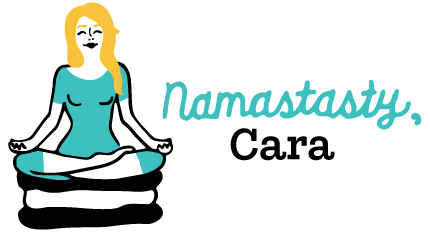 Just pre ordered my Ebook Cara… Can’t wait until August!!! Ordering my birthday is 2 days after! My book is pre-ordered. Waiting on August! I can’t wait to buy your book and start baking these goodies! Those fudge striped cookies look especially amazing..I added it to my wish list a couple of weeks ago. Congratulations in advance I know it will be as amazing as your blog! for some reason i JUST stumbled on this post! i love that your laid all the chapters out and with pictures! everything is stunning and looks SO GOOD. i cannot wait for your cookbook, girl! you’re totally gonna rock it. OMG IM FREAKING OUT!!!!! I AM SOOO PROUD OF YOU. YOU ARE AMAZING! LOVE LOVE LOVE YOU! I’m interested in your book, since I have a million food allergies and need to avoid dairy, egg and wheat, but I also am allergic to coconut and corn. Can you tell me whether you’ve used a lot of coconut oil, corn flour, corn syrup or corn starch in your recipes? Thanks for any help you can give me, Amazon didn’t have a preview thingy yet. Thanks Cara, I’ll check it out! I know I’ve told you already, but I am seriously.so.excited for you! I can’t wait to see the book. great going Cara! i am so excited! As one of my favorite bloggers, I am seriously so proud of you. You really are the bombdotcom. This book rules and I will recommend it to everyone I know. Looks beautiful, Cara! I’m so impressed and very excited for you!